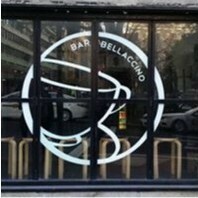 Bar Bellaccino Cafe joined our Mission to help provide access to “Clean Water for All by 2030”. This Mission was initiated by the United Nations. A big thank you to Bar Bellaccino Cafe’s team and customers for joining this extremely important mission on 03 April 2018. This is a great industry. We have owned and operated coffee carts & espresso bars, cafes and restaurants. Over all, the thing I love most about the industry is a customer's smile when they experience something great. It could be great service or a sip of coffee or a taste of a sandwich. Our first cafes in the QVB gave us an insight into what it took to operate a great cafe. Winning "Cafe of the Year" for Sydney and NSW in 2000 told us loudly "we nailed what it takes to make a cafe great". Bar Bellaccino combines all of our experience in coffee and food, store design, marketing, operating systems, staff recruitment and more.